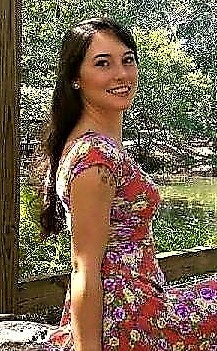 Ms. Maranda Whitten, age 24, of Valley, AL passed away on Monday, August 20th, 2018 in West Point, GA. She was born on May 20th, 1994 in Lagrange, GA.
Maranda is survived by her parents, Shane and Tabby Whitten; her three siblings, Chris Reaves, Dustin Whitten, and Destiny Whitten; her grandparents, Paul and Myra Burke, and George Bowen; her nephew, Parker White; a host of aunts, uncles, nieces, nephews, and cousins. She was preceded in death by her grandmother, Beverly O’Neal. Maranda was a very happy person who always had a smile on her face and a lot of love for her family and friends. She enjoyed educating herself and was a recent graduate of Auburn University. She loved nature, being outdoors, reading, and writing. A memorial service will be held on Sunday, August 26th, 2018 at 2:00 PM (EDT) at the Johnson Brown-Service Funeral Home Chapel in Valley, AL. The family will receive friends Sunday afternoon from 1:00 PM (EDT) until the service hour at the funeral home. Because of Maranda’s love of nature, friends are asked to send live potted plants, shrubs, and trees to the service so they can be planted in her honor afterwards.